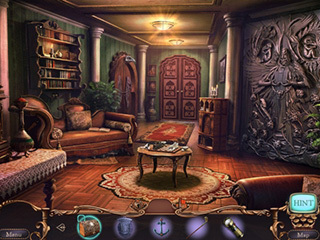 Mystery Case Files is one of the well known series in the hidden object puzzle adventure genre. Their first release goes back as far as 2005. Quite a lot has changed for 10 years. Some of the games were top notch while other failed to meet the requirements of the fans. This time you are invited by a field agent from Ravenhearst estate area to come and help because his cover was compromized. 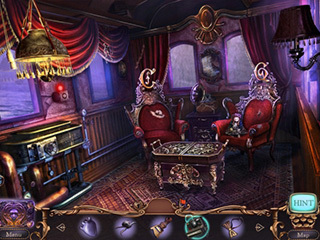 Mystery Case Files: Key to Ravenhearst Collector's Edition is yet another, twelfth ot be specific, release to the series that brings you to Ravenhearst-story again. There have been three other games of this story line (Ravenhearst, Return to Ravenhearst, Escape from Ravenhearst) released before. Those who are not familiar with them, might want to go back and check those out to have a better understanding of what's going on. This time you are invited by a field agent from Ravenhearst estate area to come and help because his cover was compromized. Plus you have a lot of knowledge about the place. You don't really get much time with the agent becaue soon he falls off of a cliff and his body is taken away by somebody. The estate has a new owner with some mysteries surroundyng him. Quite a few ships are missing too. There is a lot to investigate here story-wise. You get to choose from four modes of difficulty including one a customizable one. You can consult a map and a strategy guide when you need. Don't forget to be on the lookout for all the collectibles and 16 morphing objects. Music, concept art, and wall paper is available for you as part of the usual extras. The HOS list vary (lists, silhouettes, clues etc...) Some of the hidden object scenes are list with additional mini HOS in them. Many of the items or characters are creepy and spooky, like broken dolls, bleeding eyes, possessed looking characters. The tv-headed man giving you a tour of the museum is going to ask you questions of the Ravenhearst estate. Knoledge of the previous releases come in handy! 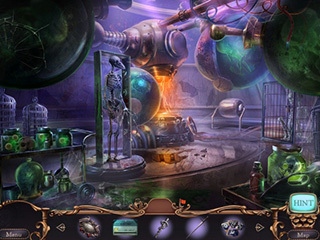 This is Mystery Case Files: Key to Ravenhearst review. Download this game here.